Every year I go into the draft I tell myself I need a top three Quarterback to win the league. There have been some years where I won the league where I drafted a top three QB late in the draft when I was able to find a QB who far outdid their draft position (when Peyton Manning went later in drafts) I find that unless your league devalues QB's points that you should target a QB early that will be top three. Every year I have been able to utilize the waiver wire to find top Running-back, Wide-receiver, Tight-End, Kicker, and Defensive talent. I find the pool of opportunity to be much bigger in those categories than it is for the QB waiver wire to produce a top QB check out the football odds for this coming season. Here is where many of you will highly doubt me and some of you will call me "stupid." I am going to recommend that everyone work to draft QB's that throw the most amount of TD's every year and have a high amount of yardage too. Andrew Luck, Peyton Manning, Aaron Rodgers, and Drew Brees are my top choices. There are pockets of TD strength and some pockets of general strength like a Ben Roethlisberger who threw for almost 5,000 yards and 32 TD's last year. I just don't trust Big Ben. Luck, Manning, Rodgers and Brees all threw for over 4,500 yards and over 33 TD's in 2014 and their chance to repeat in 2015 is very high. I can't recommend high enough that you target one of these QB's with your first or second round draft. I trust in my ability to work the waiver wire and the hardest position to find top talent on the waiver wire is QB. In a way this is a safer play, but many experts won't recommend this approach to target top QB talent in the first two rounds. After looking through my previous years where I have done very well and won the league I have always had a top five QB in the position. I have worked this strategy of grabbing a top QB in the first two rounds and have still ended up with a solid team. Please keep in mind that every year I find top talent for RB, WR, TE, K and defense and I trust my ability to work the waiver wire. 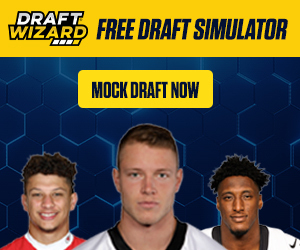 After the first three rounds if I have a top QB, RB, and WR I feel very confident in my ability to develop my team over the season and prepare for the play-offs. You have heard my argument; do you agree or do you think this is a stupid strategy? As for me and my 2015 fantasy teams I will have one of the big four (Brees, Manning, Luck or Rodgers) as my starting QB.